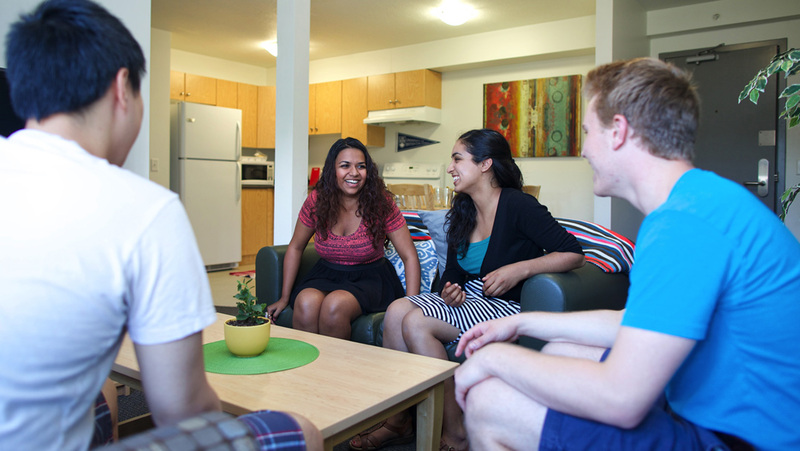 Four bedroom suites are ideal for students who enjoy communal living. 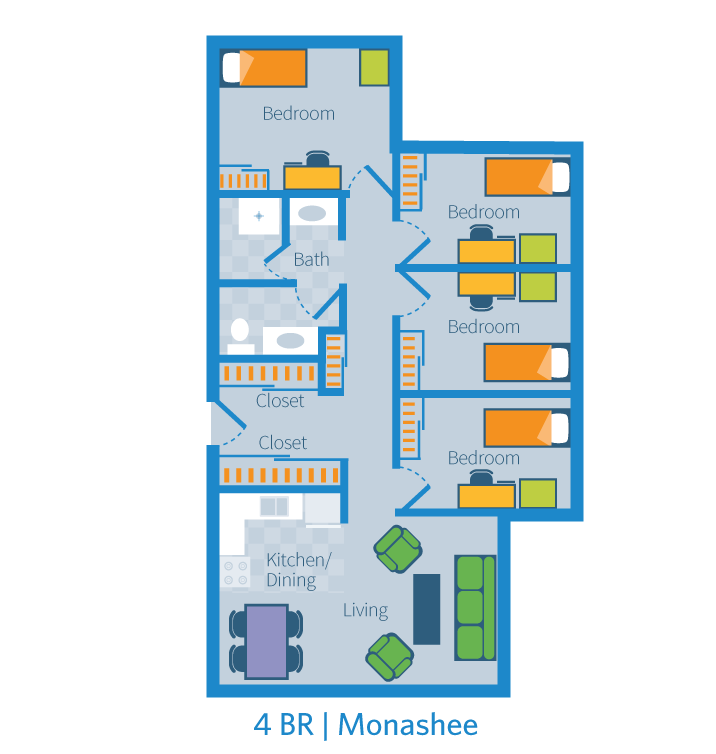 These rooms, found in Monashee and Cascades, provide private bedrooms with a shared kitchen, living room, and washroom. Bedrooms have twin bed, desk, chair, and dresser. 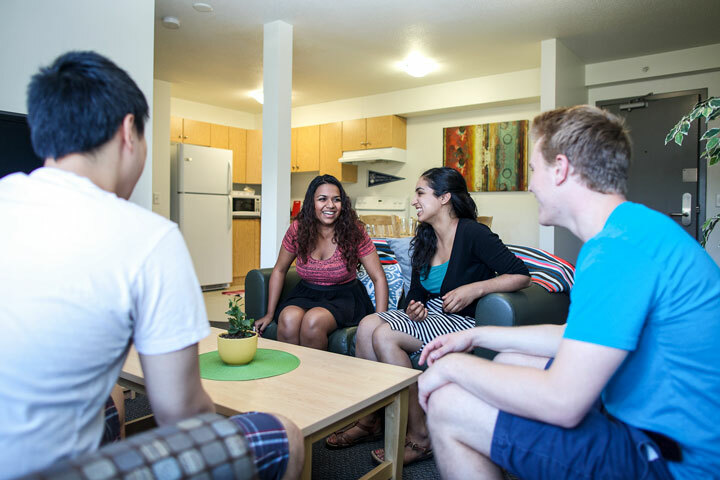 Common space includes couches, arm chairs, tables, and dining table. 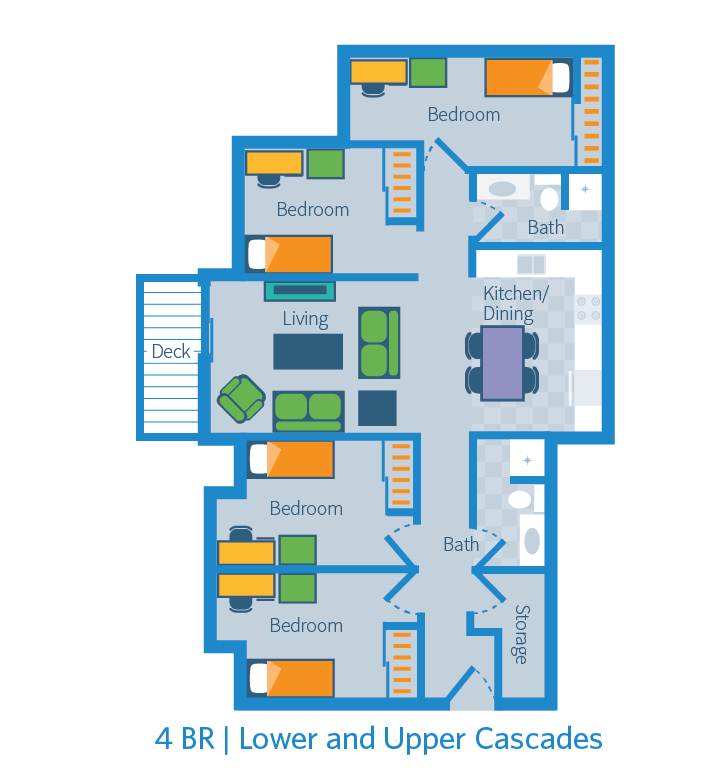 Private bedroom in a four bedroom suite, Cascades. One shared bathroom includes toilet, sink, shower and storage cabinets.